The 5008 adds some Peugeot styling to the mix, as well as a smart interior, but otherwise it's like any other five/seven-seat MPV out there. Peugeot's mid-sized MPV contender's closest rival is the similarly French Citroen Grand Picasso. That's hardly surprising, as the pair have a lot in common under the skin, the 5008 basically Peugeot's take on the genre dominated by its Citroen cousin. The 5008 adds some Peugeot styling to the mix, as well as a smart interior, but otherwise it's like any other five/seven-seat MPV out there. The Peugeot 5008 might technically be classified as a compact MPV - Peugeot's full-sized MPV being the 807 - but the 5008's generous proportions and practical interior make it a compelling choice for big families. Like recent Peugeots the cabin is very smart, and being an MPV it's full of clever features to maximise space. The rearmost seats fold flat into the floor and there's a 512-litre load space, though push all the rear seats down and you've a van-like 1,604 litres of carrying capacity - useful for those runs to the dump. It's best as a passenger vehicle though, all seven seats decently proportioned, even if the rearmost are best reserved for the most flexible and smallest of your brood. There's storage under the floor too, and deep storage in the centre console for oddments. The engine line-up in Ireland is limited, with the 1.6 HDi diesel being the only you'll really find in the classifieds. It delivers 109hp, which might not sound like much in the big 5008, but does a respectable job. Fully loaded you might need to work the six-speed gearbox a bit, but that's no real hardship as it delivers a decent shift and well-judged ratios. Trim levels vary depending on age, cars up to late 2012 following SE, SX and SV trims, those after using Peugeot's newer Active, Access, Sport and Exclusive lines. The 1.6 HDi remains, though with 112hp and stop-start to further improve economy and emissions. Standard kit on all should include air conditioning, electric windows and central locking, while an automatic gearbox - Peugeot's rather clumsy paddle-shifted system - is offered optionally too. More recent cars also come with a longer five-year manufacturer warranty, so if you're buying a 2013 model you'll get longer cover with your purchase. Trim levels are down to budget and expectations as to equipment, but Access or Active - or SV on the older models - will be sufficient for most. The engine choice is limited to one - a 1.6-litre HDi turbodiesel - so that's the one to have then. 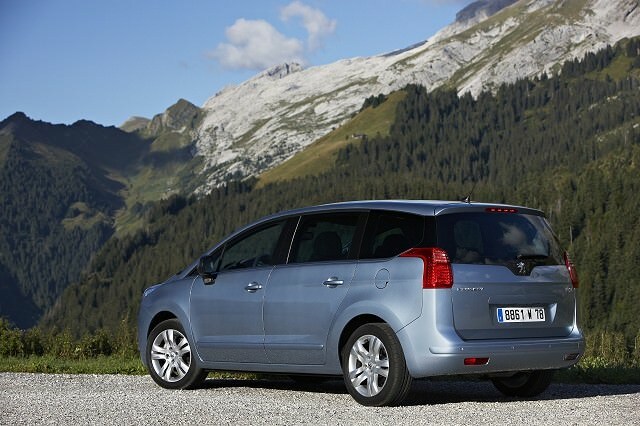 Hidden largely in the shadow of its bigger-selling Citroen C4 Grand Picasso relation the 5008 is well worth a look as an alternative to its French cousin. It shares much of its mechanicals, but feels classier inside and arguably looks better outside. Almost big enough to take on the full-sized MPV category, the 5008 drives well, looks good and feels like a quality product.